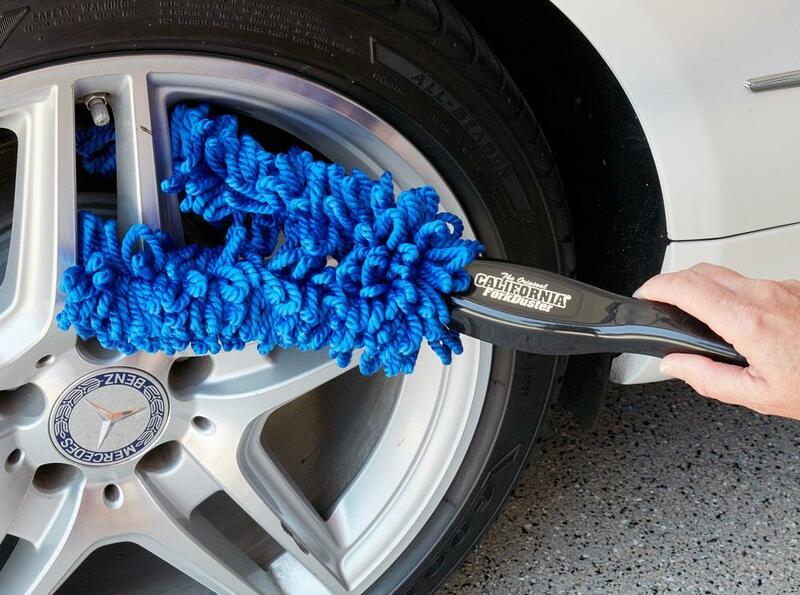 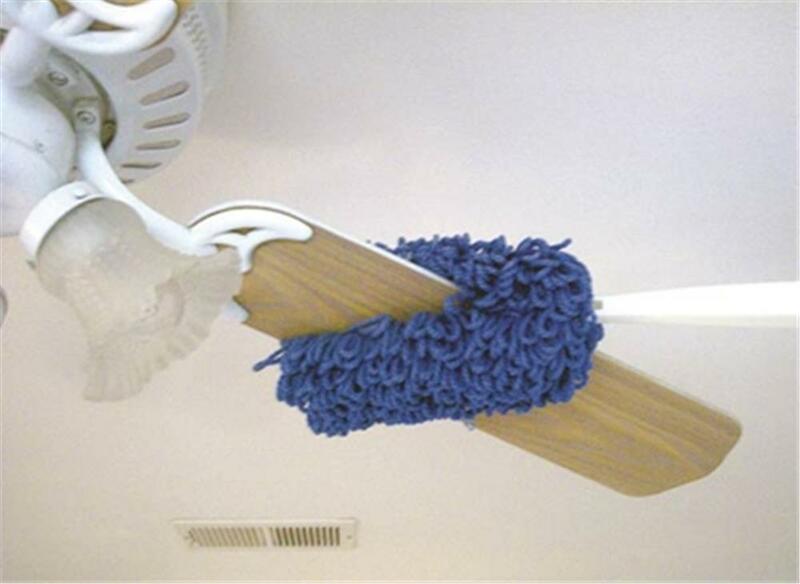 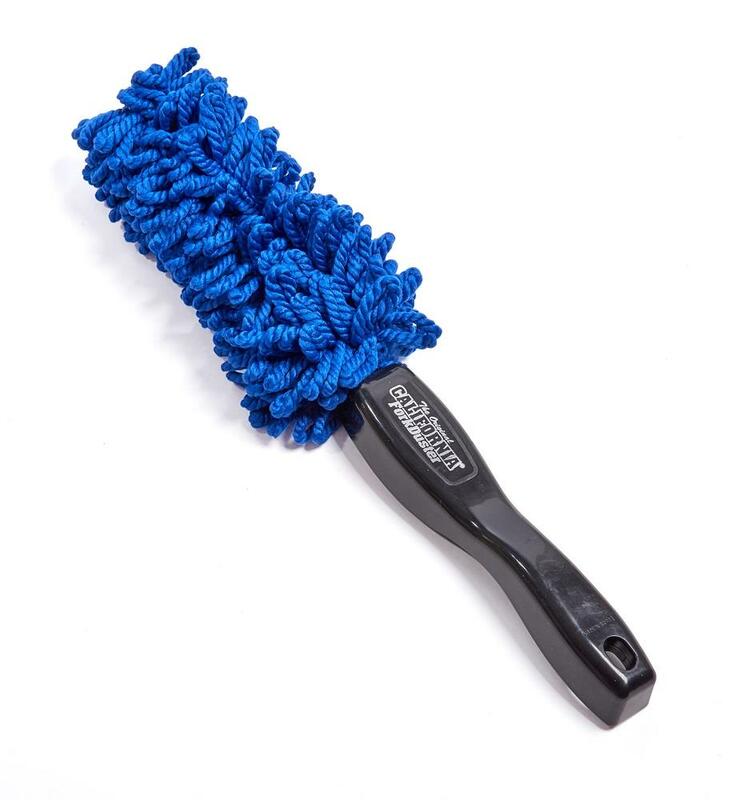 The unique microfiber mophead on the The Original California Wheel Duster features a "forked" design that clamps around objects to clean both sides at one time. 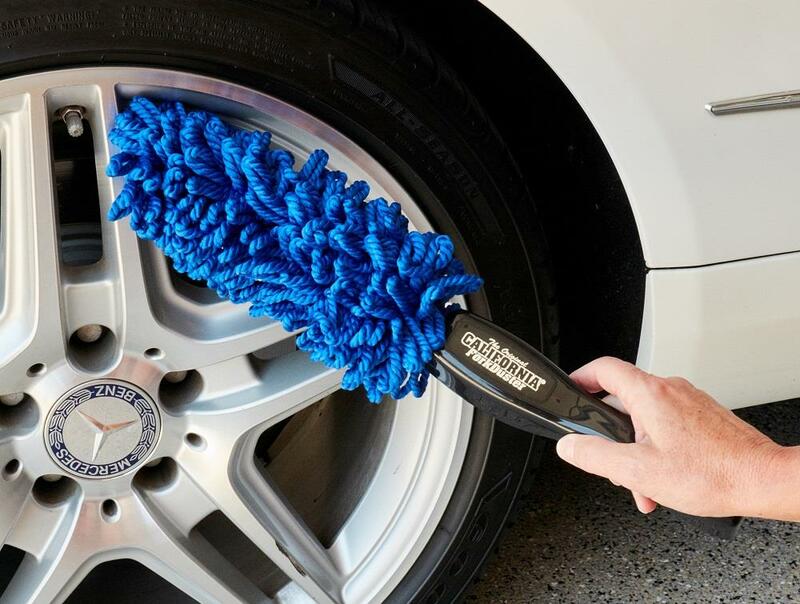 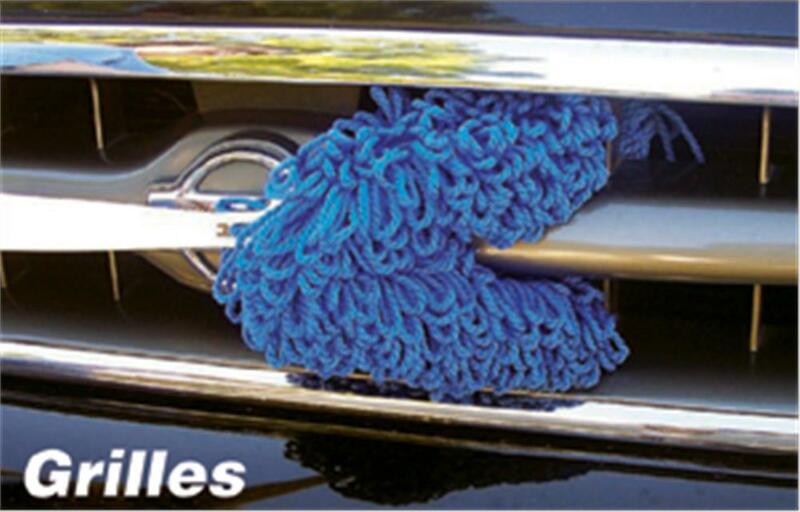 Easily cleans wheels, grilles, racks and other hard to reach spaces. 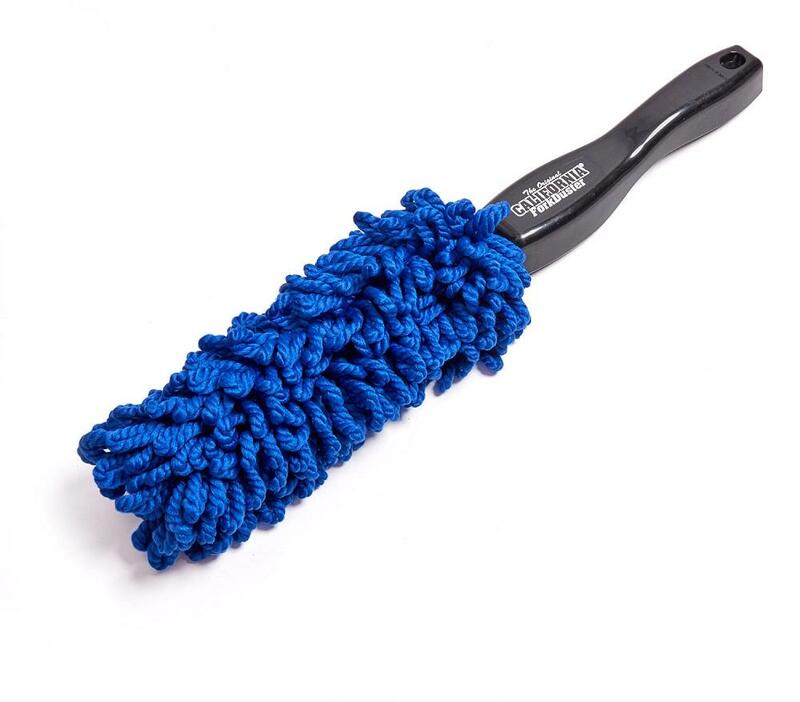 Total length of handle and mop is 17". 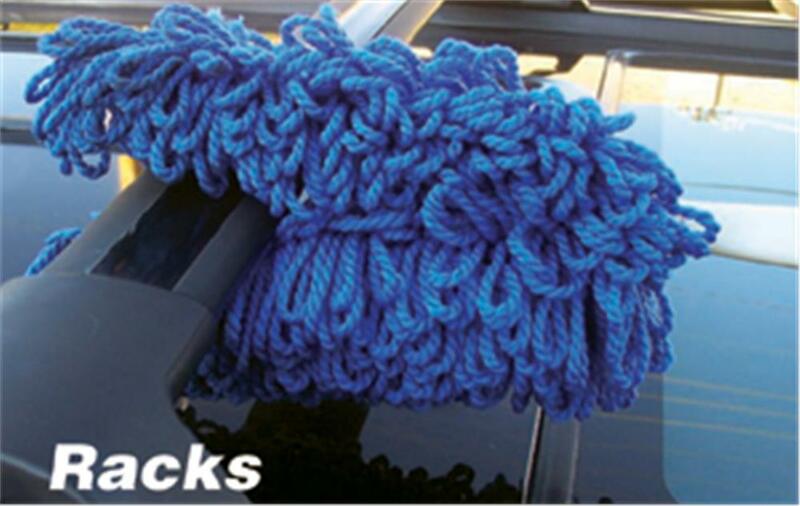 Duster forks measure 9" x 3".